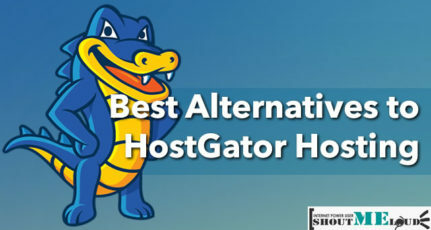 Hostgator is one of the best shared hosting company. Baby plan is my favorite here as it let you host multiple Website. One of the biggest problems that we face while blogging is finding a reliable host. A bad host can create chaos for bloggers like us, and that’s why it’s essential to have a quality web-host hosting our Site. Today, I’m going to share my review of the HostGator Baby plan, where I’m hosting a couple of my tech blogs. I was apprehensive at the beginning, but with powerful servers for HostGator’s baby plan and the combination of Cloudflare and WP Rocket plugin, my sites on Hostgator are doing pretty well. Which Hostgator plan is right for you? Hostgator hosting offers three shared hosting plans: Hatchling, Baby, and Business. A business plan is multiple domains hosting with features like SSL, Dedicated I.P. etc. 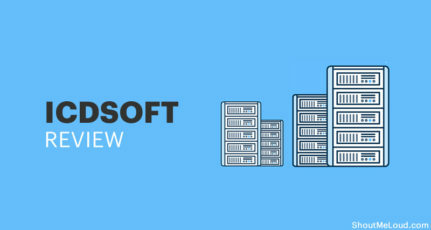 If your requirement is for single domain hosting, you can always opt for Hatchling plan which is as good, but the only limitation is it lets you host just one website. When you are starting out, this plan is ideal, but with time everybody wants to add more websites. The Hostgator Baby plan, like other shared plans, offers cPanel, unlimited Space, unlimited Bandwidth, free $100 AdWords credit, WordPress compatible, site builder, free setup, unlimited add-on domains, unlimited FTP, unlimited databases, Ruby on Rails, SSH, PHP7, Fast CGI and what not. For any normal WordPress site, the Baby plan offers everything. 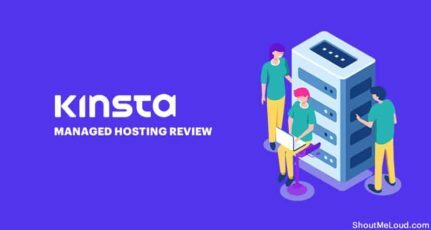 Earlier, I worked with Kinsta panel which is a custom one and here Hostgator provides standard cPanel where you can see your server load and traffic from cPanel dashboard. The list is endless. I initially thought of it as a publicity gimmick, but it’s not. 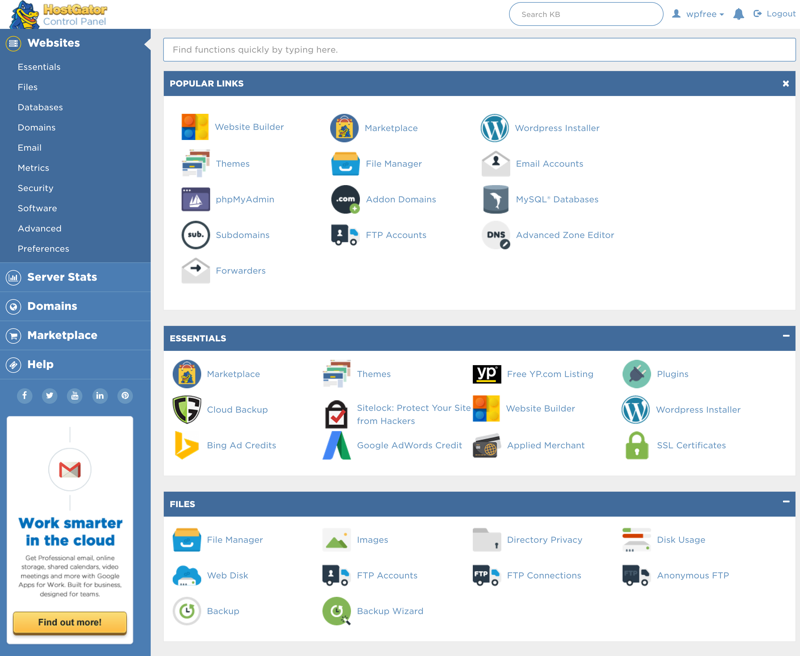 I will add some screenshot of Hostgator cPanel Dashboard, which will make it easier to understand what HostGator is offering you. One thing I like the most is monitoring Running process and visits from inside the panel. This way we can control the performance of our blogs. Additionally, their chat and telephone support are available 24*7. You can call Hostgator on 1-866-96-GATOR any time. Also, if you are one who likes to keep their website free from glitches, the Error logs feature in cPanel is useful and you can also use hotlinking feature to stop others from stealing your images. I suggest the Baby hosting plan for you, as you can add on Private I.P. by paying only 2$/month, and with their Live chat support, you will never need that Toll-free number. You can grab Hosting for the monthly tenure, quarterly tenure, yearly, 24 or 36 months tenure. You can use this exclusive HostGator Discount coupon to get 30% discount on your final bill. One year hosting with a 30% discount coupon (ShoutMeLoud30) will cost you $89.55 instead of the usual $119.40. Similarly, you can buy a 2-year or 3-year plan and enjoy more discount with the Baby plan discount code. So far, my experience with them has been amazing and hope this review of the Baby plan will help you to decide which hosting you should opt for. My personal recommendation would be the Baby plan, but if you need a Private I.P (SEO purpose) with a Toll-free number, you can opt for Business plan. Here is a video which shows how to use the coupon. In the case of any query, feel free to ask in the comment section below. 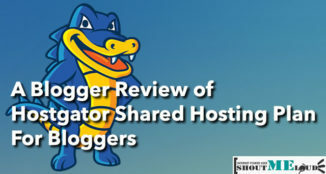 Do share your experience & review of HostGator web-hosting with all of us. how to add new domains in hostgator bussiness plan?? ?n how we will manage our bandwidth in that?? Hostgator offers unlimited bandwidth, so you need not need to worry about BW. I planning to host my new site on Hostgator. I need your opinion about the domain registration.When I checked,Hostgator charging more(15$) for domain registration compared to other provider(includng shoutmydomain). I am planning to change my hosting. Need your help bro. Going thru this article portrays hostgator has best shared hosting service on planet (baby plan). I’ll be thankful to you if u guide me thru. I just check you post and also hostgator website. It has a plan like $3.96/month on an around Rs.3000/year, which i think is little bit costly for a student, Don’t you think so? Is there any low budget plans like in 1000k to 1500k. Your site is very informative to newbies like me. 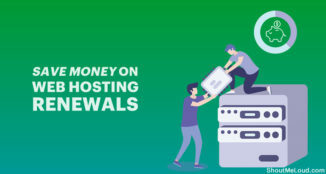 I would like to ask you What is the renewal cost of HostGator Baby Plan? Is they offer any discount coupon for that? In 1 year of HostGator Baby plan I have no problem from them their customer service is excellent. Thanks for your guidance. 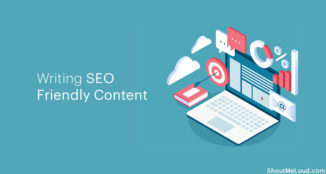 Will you please focus on AtContent plug-in? How is it? How traffic generated? Is it legitimate? And how it is beneficial? I want to know that if I am planning to make a blog only, then is it necessary to have sitelock feature from hostgator. There will be different categories for post. There will be no e-commerce platform and forum options like this. How about the usage of wordpress pluggins? I have hosted my website with godaday, but All the time they have one or other issues. Sometimes they wanted me to uninstall all the plugins which I can’t do. Please advise. We need your help. We hosted our site on Godaddy but after facing many servers issues we thought of changing the hosting company. Then we came across this useful article. As you said ‘shoutmeloud’ is hosted on hostgator baby plan, we decided we will go for the same plan. Now, our site is hosted with HG. Here is the problem after we shifted to HG. Yesterday, we received a suspension warning from Hostgator for exceeding their CPU usage due to high traffic. As suggested by them, we installed WP Super cache and now it is working fine with 1k real-time visitors. My question: How many realtime/daily visitors can this shared baby-plan hosting support after WP Cache installed? I guess Shoutmeloud is a high-traffic website with below 4k worlwide Alexa Ranking. Doesn’t Shoutmeloud suffer any server/CPU Usage issue with hostgator? I would be really happy if you can assist me on hosting plans. We are not in the condition to shift to dedicated server. This will speed up your website and also take little load away from your Hostgator account. I still have few tech sites running on Hostgator and they are working fine with the setup I mentioned in the article (WordPress + SuperCache + Cloudflare) and traffic goes up to 16000 Pv/Day without any issue. So you don’t really need to move to VPS or Dedicated server but in case if Hostgator keep sending you that resource usage mail, you should look at this alternative : Siteground as they have added new features (Server level caching, Memcache), and it’s powerful. I was working on a client site and was amazed to see the performance of the server. Thanks Harsh, your tips are really helpful. I will go ahead and integrate Cloudflare. Let’s see how many visitors can this handle. I’m also considering CloudWays for hosting multiple wordpress powered sites. How is your experience with Cloudways so far? Are you still using CloudWays? The more details the better. Thanks. Considered Hostgator long ago, decided against it due to mixed reviews around the web, shocked to find (on another comment elsewhere on this excellent site) about how it is part of a conglomerate (Indian led :O ). Then my search led me to Siteground, eespecially after seeing it rank highly on reviewsignal.com. As I seemingly closed down on it, despite many anxieties due to the non-Indian nature of it, and the fact that all the staff were East European, I discovered a shocking couple of posts about how they are running a major scam, on webhostingtalkforums which completely destroyed my confidence. Hello harsh Agrawal and everybody. Ive read all your comments about hostgator baby plan, but i have one question. – HOSTGATOR BABY PLAN offers unlimited addon domains, would one be required to make extra payment for setting up the extra addon domains after purchasing the main baby plan domain or the setup is absolutely free? I need you help in choosing a right hosting plan for my new website. I have tried hosting betheme WP theme in Godaddy but I am facing issues always (” Error: Unable to allocate memory pool.in). Hope this is due to RAM limit if I am not wrong. After reading through multiple forums and reviews I believe HOSTAGOR is the right option. Having said I just wanted to know what is the RAM limit provided by HOSTGATORS hatchling and baby plans. I appreciate your suggestions. I used to stuck in this situation earlier. The best way to avoid these error. Install on a local server(MAMP/XAMPP) and then upload through ftp. I know little messy but it is the best way to avoid resource usage on the shared server. I am also using Hostgator shared hosting (baby plan). reviews that you have shared, is awesome. thanks for exploring your experience…. I have only one blogging site for now and recently shifted from Hostgator Baby plan to Hatchling plan. I did not notice any degradation in performance. Secondly, I see comments related to experience with Bluehost vs Hostgator. I would like to bring to notice of fellow bloggers that both belong to same company – Endurance International group. They also own Bigrock. Just different groups of same company targeting different segment of people. 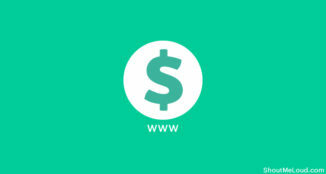 I want to ask If I make a wordpress website for anyone else and offer my domain and hosting from my hostgator baby plan. Will it affect my other blog’s speed, bandwidth etc. I want to start a website to sell my Bootstrap Themes online. The size of each theme will approximately be 1.5 to 2 MB. For the start, I will start with About 10 themes only. I already have a hatchling plan. Will it be okay to start off with this plan? Or will I need to upgrade to a higher plan? Hatchling plan is good enough. Hey Harsh! Thanks for the review. I have started a blog and hosted in on the Hosgator Hatchling plan and I am quite satisfied with it. Also I have powered it with the cloudfare free nameservers for increased speed on your recommedation. Thanks for everything you are doing for the blogger community.